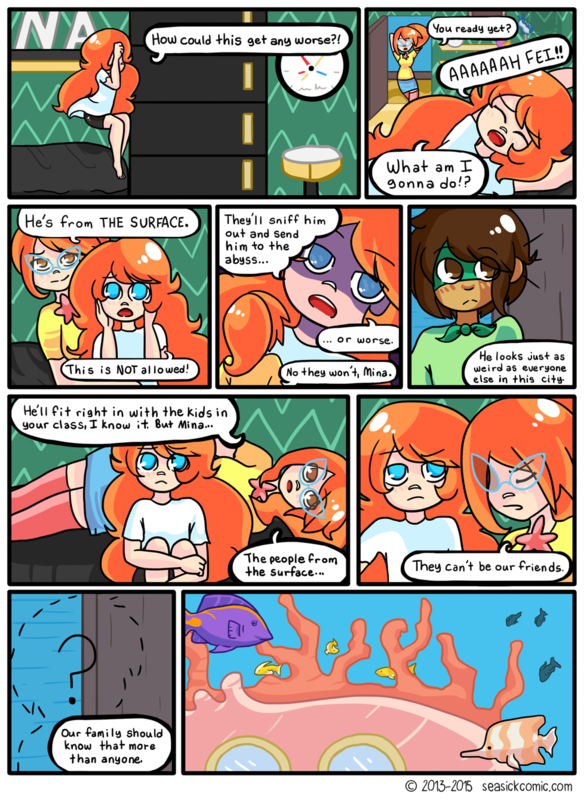 chapter-one-page-twenty-eight – Seasick – The Underwater Adventure Comic. Updates Fridays! We’re heading outside! Seasick will return next week, then I’m taking a 2-week break to focus on university and build up the buffer. Thanks for sticking with it so far!